When the end of the year draws near, the last thing anyone wants to think about is taxes. 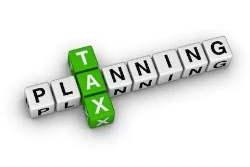 But if you are looking for ways to minimize your tax bill, there's no better time for tax planning than before year-end. That's because there are a number of tax-smart strategies you can implement now that will reduce your tax bill come April. Consider how the following strategies might help to lower your taxes. If you expect to realize either short or long-term capital gains, the IRS allows you to offset these gains with capital losses. Short-term gains (gains on assets held less than a year) are taxed at ordinary rates and can be offset with short-term losses. Long-term capital gains (gains on assets held longer than a year) are normally taxed at the lower rate of 15% and can be reduced by long-term capital losses. To the extent that losses exceed gains, you can deduct up to $3,000 in capital losses against ordinary income on that year's tax return and carry forward any unused losses for future years (See Form 1040, Schedule D for specifics). Take a good look at your portfolio before year-end and estimate your gains and losses. Some investments, such as mutual funds, incur trading gains or losses that must be reported on your tax return and are difficult to predict. But most capital gains and losses will be triggered by the sale of the asset, which you usually control. Are there some winners that have enjoyed a run and are ripe for selling? Are there losers you would be better off liquidating? The important point is to cover as much of the gains with losses as you can, thereby minimizing your capital gains tax. Consider taking capital losses before capital gains, since unused losses may be carried forward for use in future years, while gains must be recognized in the year they are realized. Traditional, Roth, and rollover IRAs each have their own advantages as well as certain restrictions. While traditional IRAs often allow tax-deductible contributions and offer tax-deferred earnings, Roth IRAs are funded with after-tax dollars and allow earnings to be withdrawn tax free after age 59Â½, provided the account has been open for at least five years. Both allow annual contributions set by the IRS and make available a broad range of investment vehicle choices. Both traditional and Roth IRAs offer a certain degree of flexibility in case you need to interrupt your savings for specified expenses, such as purchasing a first home or funding a child's education. When you make a regular 401(k) deferral, the amount is taken out of your pay on a pre-tax basis. The tax is deferred until your account is distributed to you, at which time your contributions and investment earnings are subject to income tax. A Roth 401(k) contribution is made on an after-tax basis, meaning that you've already paid current income tax on it. Since it was taxed at the time of deferral, it won't be taxed again when it is later distributed to you. And if you meet several qualifications, the investment earnings on your deferrals will not be taxed when you receive them. So, the earnings can be tax-free, not just tax-deferred. One consideration for traditional IRA holders is whether to convert to a Roth IRA. If you expect your tax rate to increase in the future -- either because of rising earnings or a change in tax laws -converting to a Roth may make sense, especially if you are still a ways from retirement. You will have to pay taxes on any pretax contributions and earnings in your traditional IRA for the year you convert, but withdrawals from a Roth IRA are tax free and penalty free as long as you're at least 59Â½ and the funds have been converted to a Roth for at least five years. Many people begin withdrawing funds from qualified retirement accounts soon after they retire in order to provide annual retirement income. An important year-end consideration for older IRA holders is whether they have taken their required minimum distributions. The IRS requires account holders aged 70Ãƒâ€šÃ‚Â½ or older to withdraw specified amounts from their traditional IRA each year. These amounts vary depending on your age, increasing as you grow older. The following table shows required minimum distribution periods for tax-deferred accounts for unmarried owners, married owners whose spouses are not more than 10 years younger than the account owner, and married owners whose spouses are not the sole beneficiaries of their accounts. BTW: If you have not taken the required distributions in a given year, the IRS will impose a 50% tax on the shortfall. So, make sure you make the required minimums for the year by year-end. Regardless of what Congress does in the future, there are many steps you can take today to help lighten your tax burden. Work with a financial professional and a tax advisor to see what you can do now to reduce your tax bill in April. Under certain circumstances, the IRS permits you to offset long-term gains with net short-term capital losses. See IRS Publication 550, Investment Income and Expenses. Minimum Distributions do not apply to Roth IRA's. Thus, during your lifetime, you are not required to receive distributions from your Roth IRA. Securities offered through LPL Financial, Member FINRA/SIPC. The information provided by the Retirement Results Team is not intended to be the primary basis for your investment decision. This material is for educational and informational purposes only and is not intended as ERISA, tax, legal or investment advice. If you are seeking investment advice specific to your needs, such advice services must be obtained on your own separate from this educational material. Future tax laws can change at any time and may impact the benefits of the Roth 401(k). Its tax treatment may change.